The Knight Conference Center, Newseum, Washington D.C. The United States has a proud history of achievement and leadership in networking and information technology. The Federal Government has played an essential role in fostering the advances in this field that have transformed our world. The Federal investment in networking and information technology research and development is without question one of the best investments our nation has ever made. While the Federal investment in Networking and Information Technology (NIT) Research and Development (R&D) dates from the birth of the field more than 60 years ago, the High-Performance Computing Act of 1991, recognizing the unique importance NIT R&D to our nation, provided for multi-agency coordination of this investment. 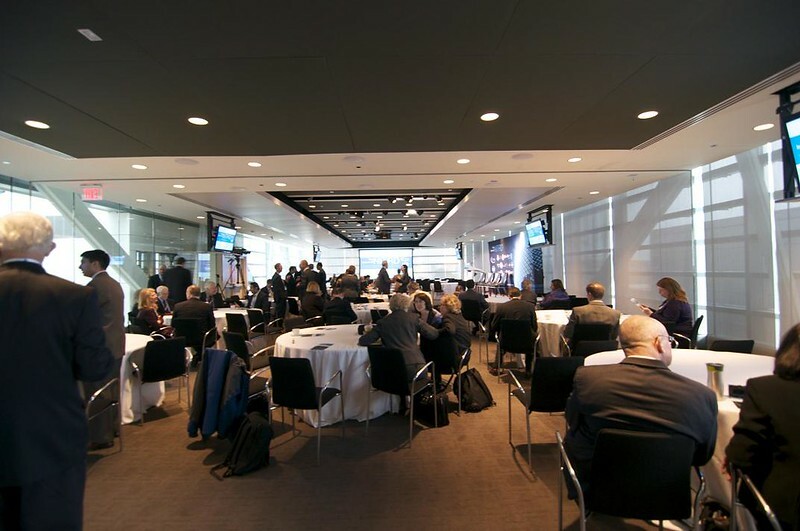 This daylong, invitation-only symposium in Washington, DC, explores the accomplishments and prospects of this coordinated effort -- now referred to as the Federal Networking and Information Technology Research and Development (NITRD) Program, and involving 15 Federal agencies as full partners. Former Vice President Al Gore, who spearheaded the High-Performance Computing Act of 1991, will be a featured keynote speaker. Other elements of the program will include modules on information technology and people, information technology in the physical world, information technology for the advancement of science, the building blocks of information technology, and the world of data; as well as a forward-looking panel that considers the roles of government, academia, industry, and the research community as a whole in finding and funding the next "Big Ideas." The materials on this webpage were provided by the Computing Community Consortium (CCC). All materials including speakers' slides and videos, are copyright the author(s). Permission is granted for non-commercial use with credit to the author(s) and the Computing Community Consortium (CCC). Keynote - The Honorable Al Gore, 45th Vice President of the United States.